Where Have Meteors Fallen on Earth and What Are the Differences? Home » Pictures » Where Have Meteors Fallen on Earth and What Are the Differences? 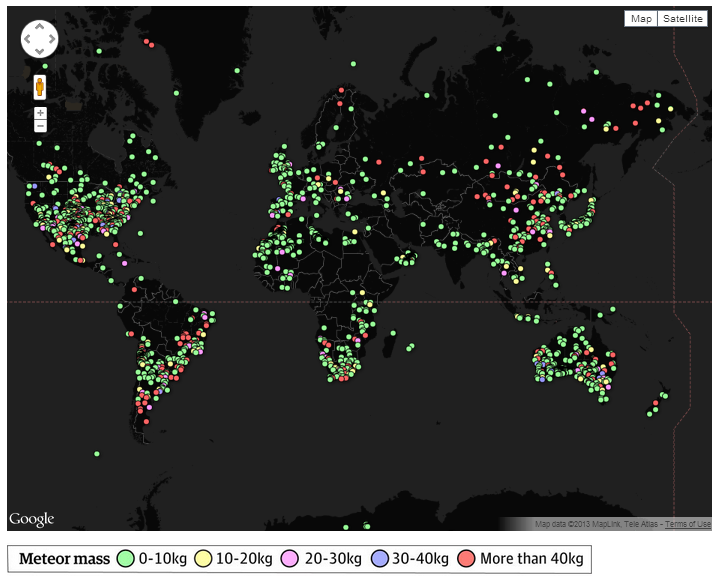 A very common question we all ask is where have meteors fallen on Earth? Also how big are these rocks or how heavy are they? These are good questions to ask to know the real danger of these space travellers. Well I took this first image from a cool facebook page called The Earth Story, check them out if you have time. 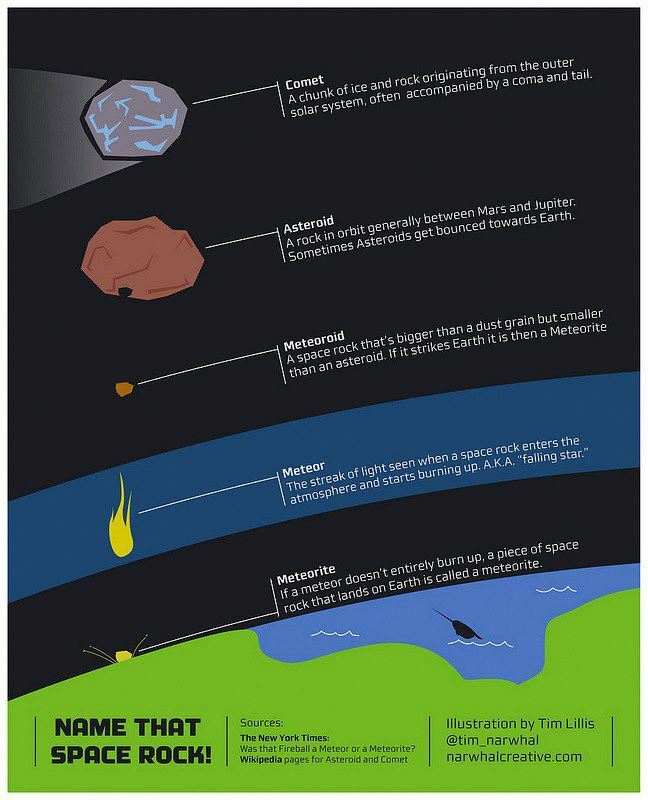 One common question asked by many people is the difference between a comet, asteroid, meteor, and meteorite. Well here’s an awesome infographic to show you the way!